Ten-man West recorded a vital three points on the opening day of the season with a 3-1 win over NWCFL Division One Champions Widnes. West made just one change from the side that romped home to victory at Athersley Recreation last weekend with Daryl Weston making his full debut in place of suspended captain Mark Rogers. The game started with a good tempo but it wasn’t until the 17th minute for the games first clear cut chance to be created as Colin Quirk lifted a free kick to the far post which was headed across goal by George Lomax but Kevin Towey blazed over from close range. West punished the miss a minute later as Tom Bailey flicked on the goal kick into the path of Nic Evangelinos who slotted coolly under goalkeeper Louis Mackin. The goal roused West as the impressive Carlos Mendes Gomes almost doubled West’s lead on 26 minutes as he twisted and turned and bent a shot just over the bar from 20 yards out. West did double their lead on 32 minutes as Josh Tinker burst down the right and whipped in a superb cross into the path of Nic Evangelinos who drilled his header in off the underside of the crossbar with Tom Bailey making sure with the rebound. West went in search of a third with Mendes Gomes waltzing round the Widnes back line and forcing a low save from Mackin at the near post on 34 minutes. At the other end Widnes remained dangerous and should have pulled a goal back on 35 minutes when Michael Burke headed into the hands of Aaron Ashley unmarked from a corner. Two minutes before half time Widnes were denied again as Ashley made a low save from Towey from point blank range before Anthony Potts hooked it off the line. Seconds later it was 3-0 as Tom Bailey was played in down the right and his effort from a narrow angle was deflected in past the Widnes goalkeeper to give West a commanding half time lead. The second half was just nine minutes old when Daryl Weston was dismissed for a challenge on Towey with the referee having deemed it ‘excessive force’ despite minimal contact seemingly made. Moments later Ashley was called into action as he made a terrific diving save to deny a header from Quirk from Davies cross from the left. On 66 minutes Myler went close for Widnes hitting the outside of the post but they pulled a goal back a minute later when a quick free kick was played out wide to George Lomax and Athony Potts diving header was diverted into his own goal. West were resolute in defence reducing Widnes into long range efforts as they couldn’t break down the home side. Bailey almost added a fourth goal late on when Ben Steer’s cross found him at the far post but Mackin pushed the effort away. 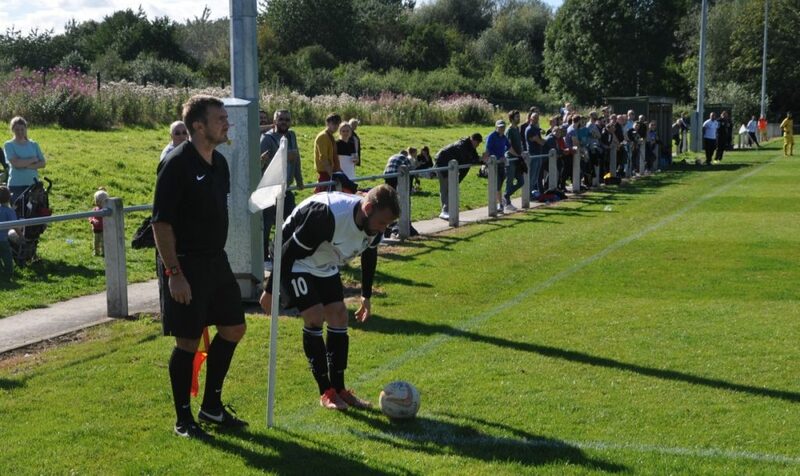 In stoppage time Widnes almost added a consolation as Towey clipped the top of the bar from close range after a deep cross from the left reached him at the far post and West secured their first three points of the season.